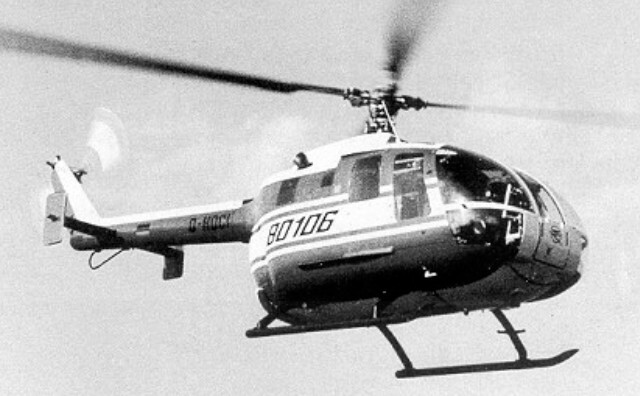 First flown on 25 September 1973 (Prototype D-HDCI), the BO 106 is generally similar to the BO 105 but has the cabin widened by 50cm to seat two or three persons in front and four on the rear bench. Its uprated Allison 250-C20B engines each develop a maximum of 420shp and give 50shp more than the 250-C20 at ISA + 20°C. This gives the BO 106 a performance simflar to that of the BO 105. An uprated transmission caters for a twin-engine power output of up to 692shp, and single-engine output of 380shp, compared with 636 and 370shp respectively for the BO 105 transmission. 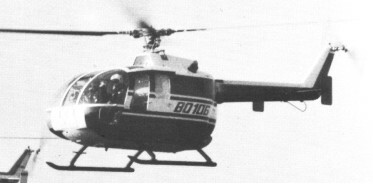 The prototype was developed with government aid (60%). 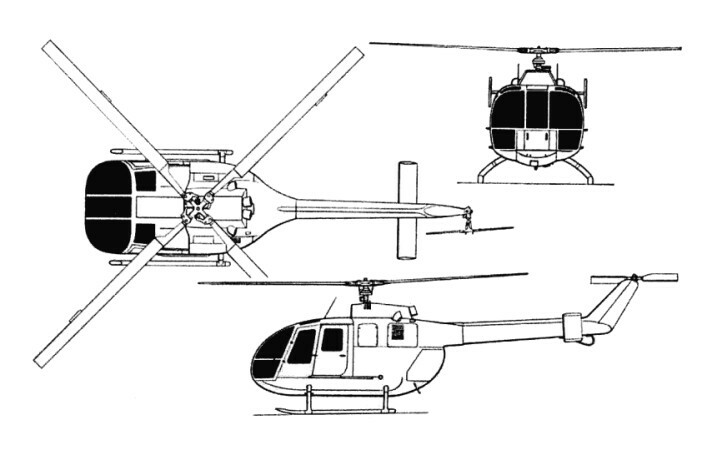 It is hoped to make available kits to convert existing BO 105s to BO 106 standard, as well as new production aircraft.